DIVAcontemporary associate artist and Chair, Marc Yeats is preparing for another European premiere, this time with Auditiv Vokal of Dresden, Germany. The concert takes place at the Deutschen Hygiene-Museum at 7.30 on the 27th February and will be recorded for broadcast by Deutschlandfunk Radio. 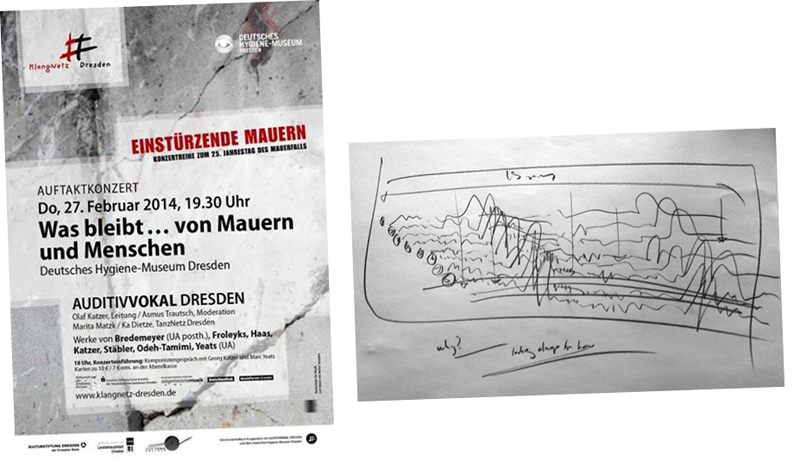 Marc is a guest of Auditiv Vokal at the premiere of oros for 8 voices [3 sopranos, 2 altos, tenor and 2 basses, circa 15 minutes duration] and will be giving a preconcert talk about this new Auditiv Vokal commission to celbrate “Einstürzende Mauern” [falling walls]. This entry was posted in associate artist, links, Marc Yeats, music, radio. Bookmark the permalink.